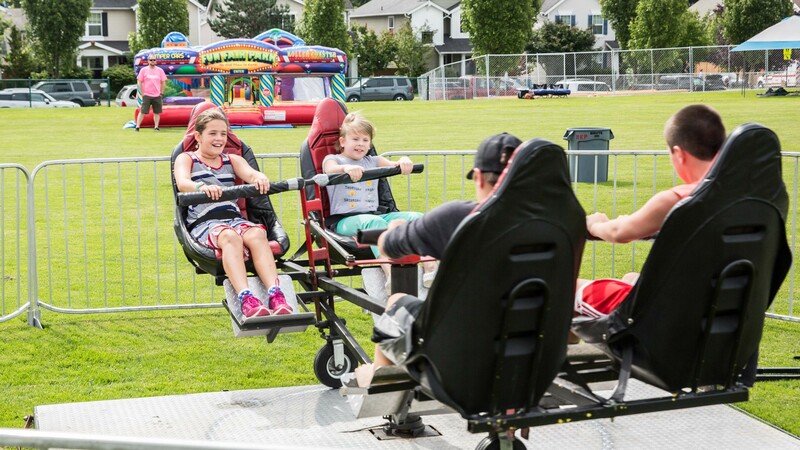 Two to four participants seat themselves in this hand operated spin ride. This is our original spin ride activity, and a great one to make people interact. Great for team building or morale events in Seattle!